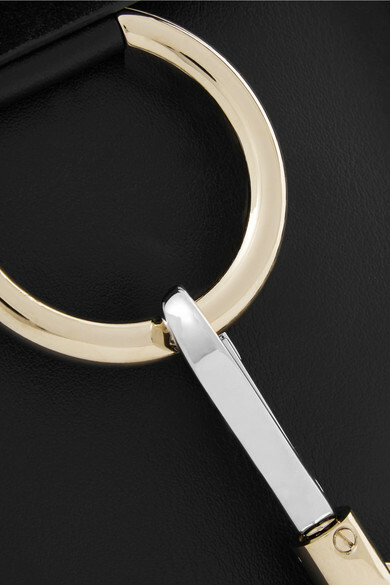 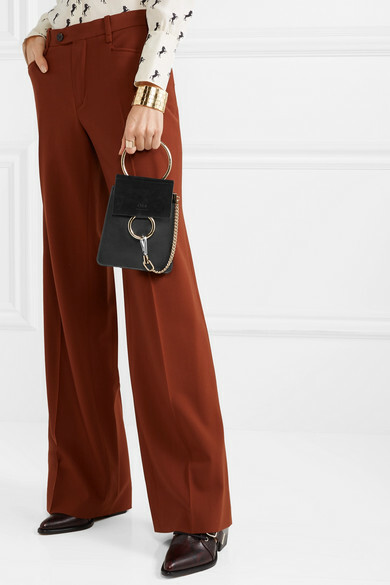 Part of Chloé's lineup of 'Faye' bags, this mini 'Bracelet' version has a gold hoop that can be slipped over your wrist like a piece of jewelry. 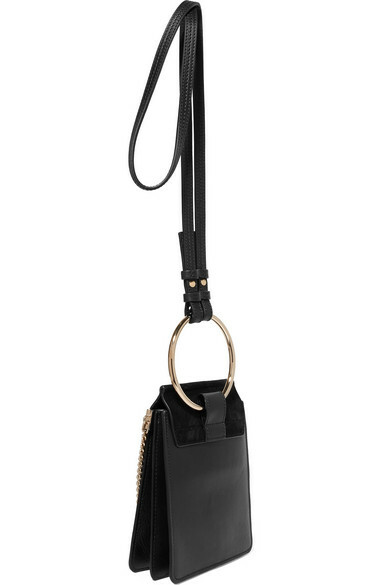 Made from black leather and suede, it's decorated with the same O-shaped ring and chain as the Parisian house's iconic original. 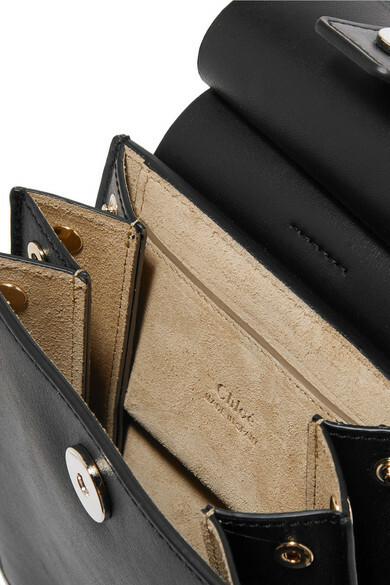 The accordion sides can be expanded to make room for a smartphone, cardholder and favorite lipstick. 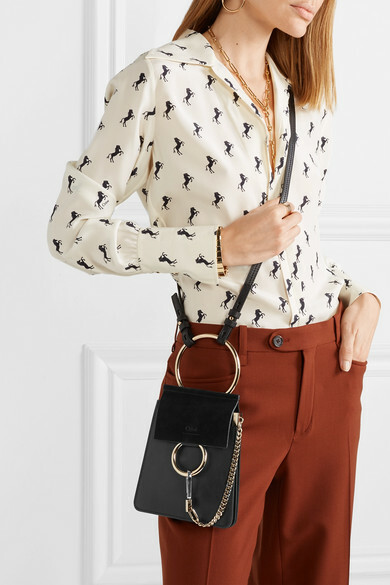 Shown here with: Chloé Pants, Chloé Blouse, Chloé Top, Chloé Ankle boots, Jennifer Fisher Ring, Chloé Bracelet, Montunas Shoulder bag, Chloé Earrings.